The AGO maintains a national positions available listing on the national website. Local positions available are listed below. Please contact info@greenvilleago.org to add or remove listings. Covenant Presbyterian Church, Hendersonville, NC seeks part-time organist. Please contact Rebecca Brake, Music Director. Boulevard Baptist Church 700 Boulevard, Anderson, SC 29621. Cooperative Baptist Fellowship congregation seeks part-time organist. 2010 Reuter Op. 1680 III/65 (specs). Please contact James E. Bennett, Jr., Interim Minister of Music. 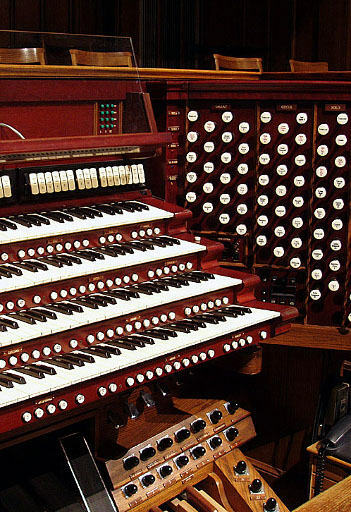 St. Giles Presbyterian Church seeks part-time organist. Please contact Charlene Means, Director of Music. Episcopal Church of the Redeemer, 120 Mauldin Road, seeks Organist/Choirmaster. New 2m Allen Bravura with antiphonal. Contact Phyllis Webb at parishadmin@corgsc.org. Job posting.